It’s a man-bites-dog moment when the NY Times discovers the increasing reality that vast sums of government money have led to trimming in research reports. “University laboratories count on a steady stream of grants from the government and other sources,” reports the Times. The National Institutes of Health accepts a much lower percentage of grant applications today than in earlier decades. At the same time, many universities expect scientists to draw an increasing part of their salaries from grants, and these pressures have influenced how scientists are promoted. May I modestly suggest that the problem is not failures of editors to monitor articles for veracity, but the incentive system that dangles large sums of cash — and the fate of one’s livelihood — for scientists who come up with ideologically fashionable research outcomes? Those outcomes desired are often those that advance a politically correct narrative that the media and academia will spread as good news. Not surprisingly, many of the problems arise in biomedical fields. Think of embryonic stem cells versus adult stem cells. Another example surely is the parade of “missing link” stories that supposedly corroborate a Darwinian evolution script. (That’s “Ida,” a recent example, in the illustration above.) 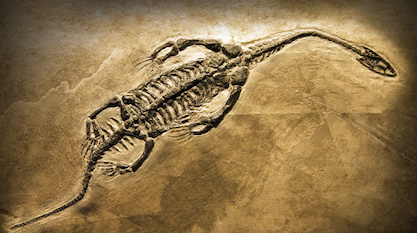 If all the missing link stories that turn out later to be false or misleading or misinterpreted were laid end to end, they would wind up biting their own prehensile fossil tails.